There was a time when I used to meditate every single day and it made a huge difference to my life. 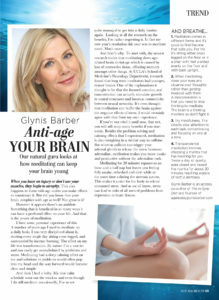 In this recent column for Natural Health magazine I look at the incredible benefits of meditation. When you have an injury or don’t use your muscles, they begin to atrophy. This also happens to them with age unless you make efforts to counteract it. But did you know that your brain atrophies with age as well? Not great is it? However it appears there’s an antidote. Something that is beneficial in so many ways it can have a profound effect on your life. And that is the power of meditation. I have some personal experience of this. A number of years ago I used to meditate on a daily basis. I was very disciplined about it, starting every single day sitting cross legged, surrounded by burning incense. The effect on my life was transformative. By nature I’m a worrier and can easily get overwhelmed by problems and stress. Meditating had a deep calming effect on me and solutions to problems would often pop into my head and the way forward would become clear and simple. And then I had a baby. My nice calm schedule went out the window and even though I do still meditate occasionally, I’ve never quite managed to get into a daily routine again. Looking at all the research on the benefits, I’m rather regretting it. In fact my new year’s resolution this year was to meditate more. Much more. And here’s why. 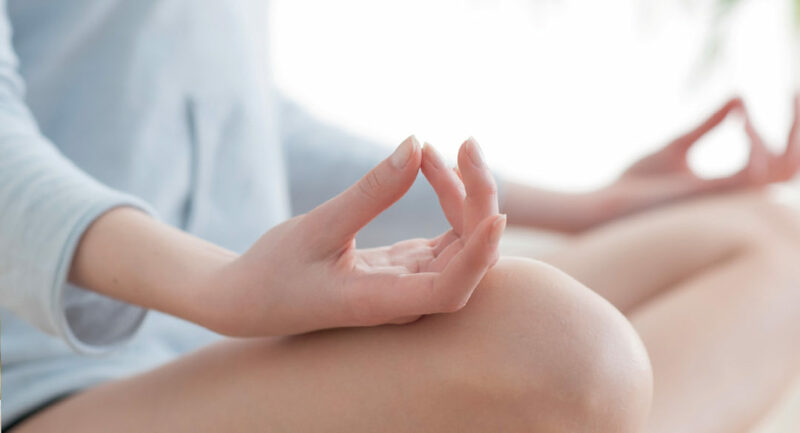 To start with, the newest research shows that meditating slows age-related brain shrinkage which is caused by loss of connective tissue, affecting memory amongst other things. At UCLA’s School of Medicine’s Neurology Department, research found that long term meditators had younger, denser brains. One of the explanations is thought to be that the focused attention and concentration can actually stimulate growth in neural structures and increase connectivity between neural networks. It’s even thought that meditation can buffer the brain against the negative effects of stress. I would certainly agree with that from my own experience. If you’ve not tried it until now, fear not, you will still reap many benefits if you start today. Besides the problem-solving and calming effects that I experienced, meditation is also energising in a similar way to caffeine. But whereas caffeine can trigger your adrenal glands to release the stress hormone adrenaline, meditation makes you more awake and productive without the adrenaline rush. Meditating for 20 minutes equates to an hour and a half nap but leaves you feeling fully awake, refreshed and alert while at the same time calming the nervous system. This makes it easier for the body to release unwanted stress. And as we all know, stress can lead to risks of all sorts of problems from depression to heart disease. Meditation comes in different forms and it’s good to find the one that suits you. For me it’s sitting either cross legged on the floor or in a chair with feet planted evenly on the floor and with back upright. When meditating, close your eyes and observe your thoughts rather than getting involved with them. A misconception is that you need to stop thinking to meditate. The brain is a thinking machine so don’t fight it. Try mindfulness. This directs your attention to each task, concentrating and focusing on one at a time. Transcendental meditation involves choosing a mantra that has meaning for you. Twice a day sit quietly, eyes closed and repeat the mantra for about 20 minutes reaching a place of restful alertness.